Right now I am listening to Pandora…to be precise, the current track playing is Testarossa by PANTyRaiD Superior. This is a little early to get off on a tangent…but I would have to say that’s an interesting name. How much money I am willing to pay to take a trip through the heads of these creatives for just a day to see where it takes me, that would be…ah, a trip. And people walking in every 3 seconds through the door in front of me. Amongst this madness, I sit here in a calm, creative state of mind typing away on my MacBook Pro while listening to…uh…PANTyRaiD. I have always been one to do work while blasting music in to my ear drums…at times when others would think it would be distracting. In college while studying for exams I would be bumping beats by Dre. While running up against deadlines at work I would be in my own little euphoria while I listened to classical Bach. When studying for both the FE Exam and the PE Exam, the sounds of Slug would be in between my ears carrying me along. Science was not the reason I ever did this…it was just part of my life. I only do this because I feel more productive, more focused, and on point for longer periods of time. I didn’t know why, nor did I care…I was just trying to make miracles happen daily, so the reason didn’t matter. Turns out, research backs the use of music as positively attributing to individual performance. In a 2005 study titled “The effect of Music listening and workplace performance”, Dr. Teresa Lesiuk found that individuals who listened to music while completing a task actually completed their tasks more quickly and more innovatively than those in the comparison group who did not listen to music. Biologically, when we listen to music, dopamine is seeping in to the “reward” channels of our minds. These are the same channels that deploy the good feelings we get from eating a super stellar dinner or connecting with someone on a first date. Dopamine does a solid for us by covering up the little stresses that are camped out in the crevices of our dome pieces, helping us stay focused on the task at hand. Researchers confirm and directly correlate the increased focus with the relief of stress due to the seepage of dopamine. Thinking about this in my personal experiences, it makes sense. When bothered by stress, we are more likely to lose perspective and make decisions that are not as methodical, well thought out, or contrary to our better judgment. On the other hand, when we are in a good mood, we tend to keep things in perspective with a better propensity to roll with the punches. Studying for the Fundamentals of Engineering Exam is nothing less than constant ups and downs…what state of mind do you want to be in? Dr. Lesiuk study concluded that having the ability to choose the music you listen to was a key factor in whether or not the result was optimal. In other words, we can’t rely on the music at Starbucks or the elevator music in the lobby at work to give us these benefits…we need to actually have control of what we put in to that protected spaced between our ears. 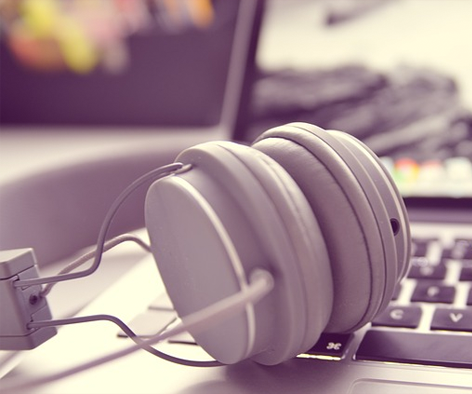 If you know you aren’t someone who tracks well while listening to music, you can still benefit from the use of music in your daily routine of studying for your professional engineering exams. In fact, Dr. Sood of the Mayo Clinic states that just listening to as little as 15 minutes of music can do major movement in your ability to regain concentration once you find your mind wandering. So if you are are hitting a road block in your Fundamental of Engineer Exam studies, take a 15 minute break, throw in some tunes, and get your mind back on track. So what about you, do you listen to Music while studying? Or does listening to music just complicate things while you are focusing on the FE Exam material? I would be curious to hear your experiences in the comments below.